MVC in Roseville, manufactures interior and exterior automotive trim products that provide value through vehicle enhancement and personalization. The Graphic Communications Conference/International Brotherhood of Teamsters Union represents thousands of workers in the printing and publishing industry across the United States and Canada. Graphic Communications Conference/International Brotherhood of Teamsters District Council 3 is an alliance of GCC/IBT union locals in the Midwest. This Michigan based charity enriches the lives of families affected by Autism Spectrum disorders by providing: GRANTS for financial assistance to help with therapeutic interventions, medical bills, SOCIALIZATION activities and SUPPORT networks. The Center for TLC is a family-centered pediatric therapy facility that serves infants through young adults and provides one-on-one services to meet each individual's needs. We realize that each child is unique and deserves to be treated as an individual addressing their specific strengths and weaknesses. Their vision is to be the global leader in community and humanitarian service. Crawl Walk Jump Run offers a different kind of therapy – the right kind. With our longer sessions, we provide ample time for better results and connection between both therapist and client. We treat from birth to adult, specializing in therapy for neuromotor disorders. They provide several different services to individuals with intellectual and developmental disabilities. Through our Day Program, clients go out into the community and practice daily living skills in a fun, functional, and hands-on manner. 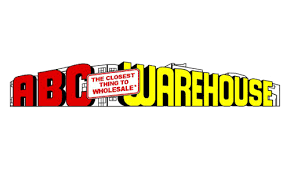 ABC Warehouse online and in-store for the best Appliances, TVs, Electronics, Furniture, and Mattresses at "The Closest Thing to Wholesale" Prices.